This is a square H.W. Johns’ Liquid Paint porcelain sign. This particular H.W. Johns’ Liquid Paint sign is predominantly blue and white. It reads, “H.W. 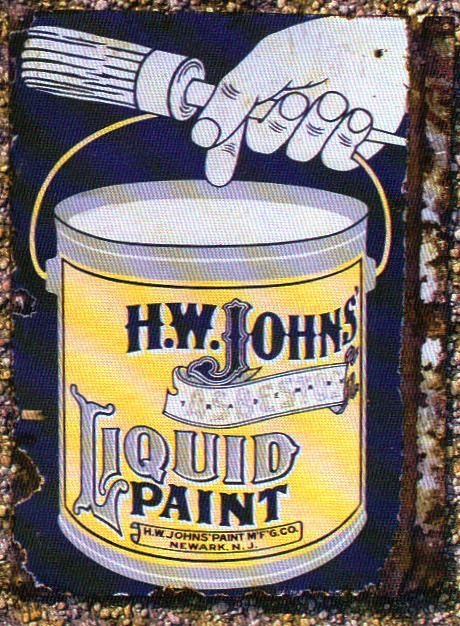 Johns’ Liquid Paint, H.W. Johns’ Paint Mfg Co, Neward, N.J.” and features a hand holding a paintbrush and yellow can of H.W. Johns’ Liquid Paint.